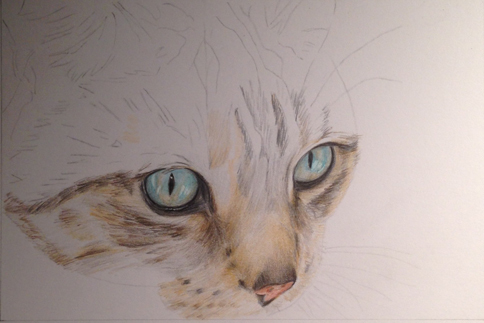 Still working one of my commissions that I cannot yet show, but I have started a new cat portrait. 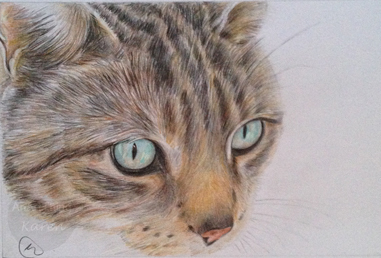 This is Tigger, being drawn with Faber Castell Polychromos on Winsor & Newton Bristol Board extra smooth. Thank you to Claire Jaques for the use of the original photograph.